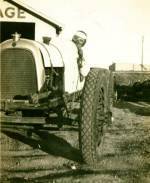 Charles Pauley of Herington, Kansas is shown here at Abilene, Kansas on September 26, 1932 with the #14 bobtail Chevrolet he drove for his uncle, Henry Pauley. 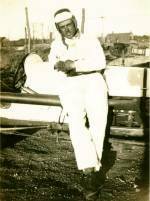 Charles Leroy Pauley was born on December 31, 1912 at Herington, Kansas. 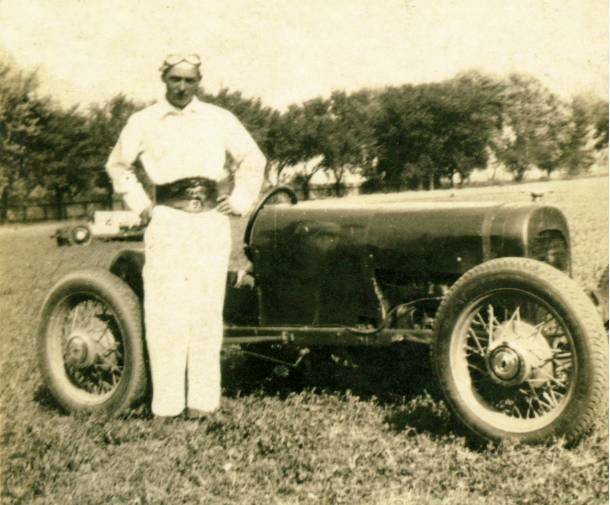 As a teenager, he remembered watching such drivers as John Gerber and “Dad” Harrier race at Abilene, Kansas when he attended the races there with his uncle, Henry George Pauley (1897-1962). 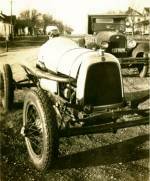 Henry Pauley built a bobtail racing car and attempted to copy John Gerber’s successful machine as closely as possible. 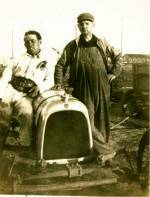 Pauley found Gerber willing to share his knowledge and they visited for hours at a time about what Pauley would need to do to build a competitive racing car. Pauley’s bobtail utilized a 4-cylinder Chevrolet engine with an Oldsmobile head which increased the compression and had larger valves than a stock Chevrolet head. The car was painted dark blue with red lettering. 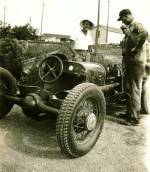 Charles Pauley raced from 1930 through 1935 spending most of that time in his uncle’s #14 bobtail Chevrolet. 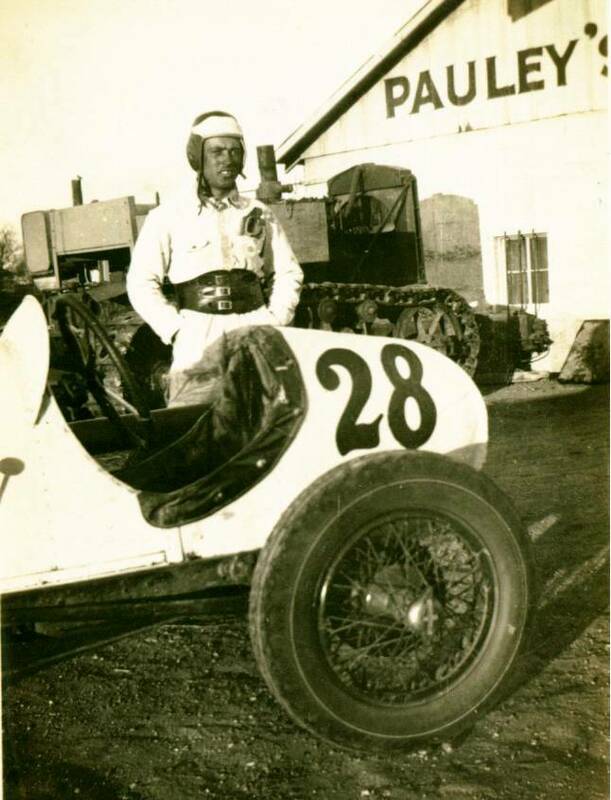 Some of the later races were in a white #28 Frontenac that Henry purchased from J. E. "Jim" White shortly after White moved to Herington, Kansas. Topeka, Kansas – September 11, 1934 – Sanctioned by I. M. C. A. (A traveling group of midget racing cars and drivers from Southern California competed against the big cars in these races. Charles set the fourth quickest time in time trials among the big cars of 33:90 and the ninth fastest time overall which included the times turned in by the midgets. The fastest time over all of 30.97 set by Ralph Keyes in a midget, was a new one-lap track record). Charles Pauley’s fiancée, Pauline Buckman, enjoyed watching the auto races except when Charles was competing. They were married in 1935 and Charles gave up driving a year later to start a family. Charles had taken a job with the Rock Island Railroad in 1929 and remained with them for more than 45 years. During that time, Charles and Pauline had two sons: Byron and Floyd Pauley. Charles Pauley passed away at the age of 97 on January 5, 2010 at Herington, Kansas and is buried in the Sunset Hill Cemetery at the northwest edge of Herington. 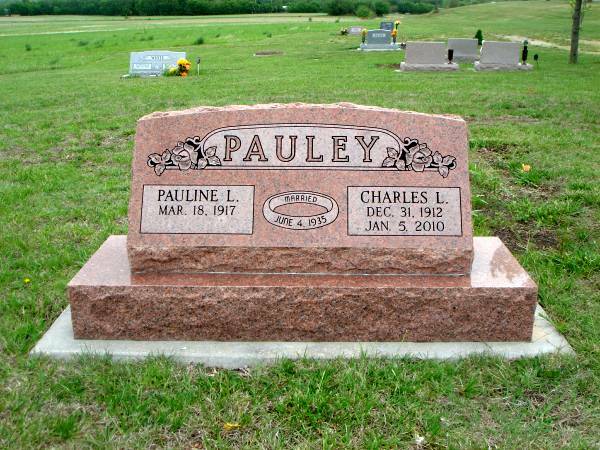 Pauline Pauley passed away at the age of 100 at Council Grove, Kansas and is buried beside him.